New York, January 31, 2013 – After landing in Poland last October, Fashion One LLC, the international channel for fashion, entertainment and lifestyle television, announces its expansion in the Central Europe country with the launch on Cable TV platform Ogrody of Stowarzyszenie Klub Sympatykow Telewizji Satelitarnej. The channel will be available in both the basic and high definition package servicing the audience in the city of Bydgoszcz in North Poland. The international television network caters to a female audience around the Brda and Vistula rivers with content covering the very latest in fashion, entertainment, and lifestyle news, profiles of A-list celebrities, luxury brands, holiday destinations, and red carpet events. Fashion One LLC also delivers a strong lineup of original programming from reality shows, documentaries, beauty tips and street styling. "Bydgoszcz is considered an important center of contemporary European culture. We believe the audience there will enjoy fashion in all aspects of life through Fashion One HD," said Ashley Jordan, CEO, Fashion One LLC. "We are excited about reaching an agreement with Stowarzyszenie Klub Sympatykow Telewizji Satelitarnej, and are looking forward to continuing strategic development of long-term partnerships in the region." 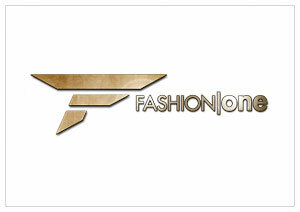 The channel will debut with Fashion One Correspondence Search: Londonand international fashion weeks from London, Milan and New York for Fall/Winter 2013/2014 collections. Fashion One Correspondence Search: Londonis a reality series that seeks to find the network's Fashion Correspondent in London, one of the fashion capitals in the world. Viewers will also enjoy an on-going documentary series Eco Fashion, fashion news series Fashion Frontline and lifestyle series Yoga, Health and Well-being.